This dish is as beautiful as it is delicious. The cod is flaky and tender, then when you top it with this tomato herb butter sauce it takes it over the top. This recipe comes from the blog Little Broken. You’ll have to check out her blog for her step by step photos of this recipe. 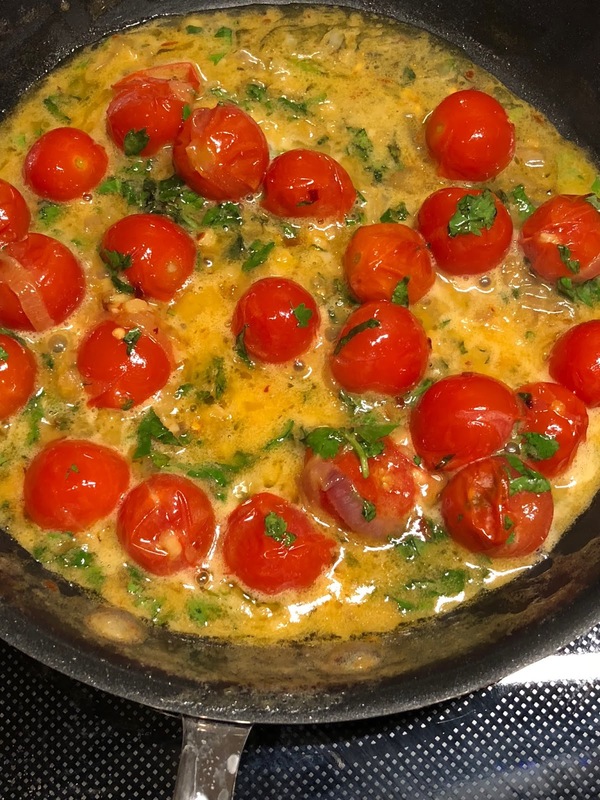 I’m going to try this flavorful tomato herb butter sauce on salmon and chicken soon. So GOOD! In a small saucepan heat olive oil over medium heat. Sauté shallot for 3 minutes, then add garlic for 1 minute or just until fragrant, stirring occasionally. Remove the saucepan from the heat (I turned the sauce pan to low) and stir in the butter and fresh herbs. The herb butter should be velvety. Cover and keep warm while the cod is baking. Drizzle the bottom of a casserole dish lightly with olive oil. You want a dish big enough to fit the cod in a single layer. Pat dry the cod really well and place in a single layer. Season with salt and pepper to taste. Drizzle the top lightly with olive oil and squeeze of fresh lemon. Cover tightly with aluminum foil and bake for 15-18 minutes or until easily flaked. Baking time will depend on the thickness of the cod. 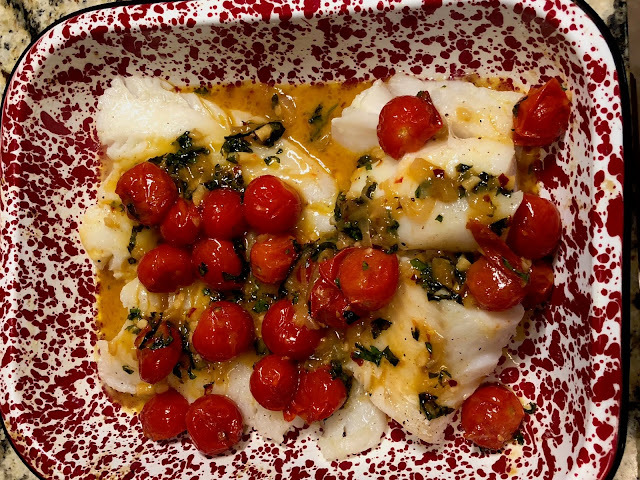 Remove from the oven (I drained off the extra liquid in the pan so it wouldn’t thin out the butter sauce) and evenly spread the tomato butter over the cod. Cover back with aluminum foil and let stand at room temperature for 1-2 minutes before serving. You just want all the flavors to come together. I like to serve this with a rice pilaf.